There is something fundamental and therapeutic about building your own fire - we have been at it for thousands of years - but when it comes down to it, the whole process can be a real hassle. First, you have to set the fire, then you have to light it and then there is the job of keeping it burning well. 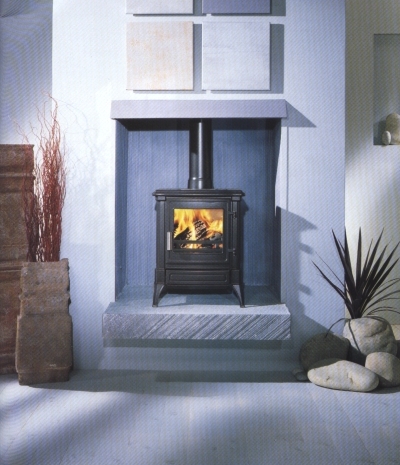 Now, thanks to Nestor Martin's new range of multifuel stoves, this job has become very easy and the resulting fire is incredibly fuel efficient, an important feature in today's eco-conscious world. A century and more of technical development and engineering innovation at Nestor Martin, the Belgian manufacturer, has produced the Stanford multifuel range, capable of burning either dry wood or smokeless coal with the minimum of supervision from its owner.